Taking on the task of renovating your home can seem like an awful lot of work, but there are ways to do this that require a lot less energy and just a little bit of money. 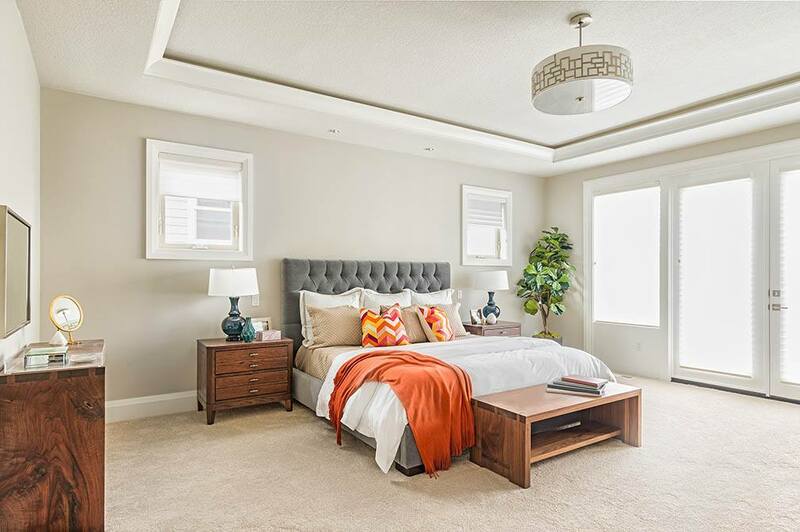 Whether you’re looking for an instant home revamp or are readying your home to sell, here are some ideas for how you can improve your bedroom in no time. It might sound too simple, but just clearing away the extraneous stuff that can accrue in your bedroom will instantly improve the look of your space. Instead of doing it over time, set aside an afternoon to go through the excess and clean up extra receipts, junk left in the corner and any unpacked boxes. Cleaning up the stuff that’s been lingering may seem like a small step, but it will give way for what comes next. While adding a coat of paint may seem like a lot of work for little reward, there are few things that will improve the appearance of a room like a shiny coat of paint. It may be tempting to go for a bright shade, but choose a neutral tone that will age well and can be complimented with bright accents from pillows or a colorful throw. Getting out the paint may seem like a big job at first, but it’s one of the best ways to upgrade the look of your bedroom. 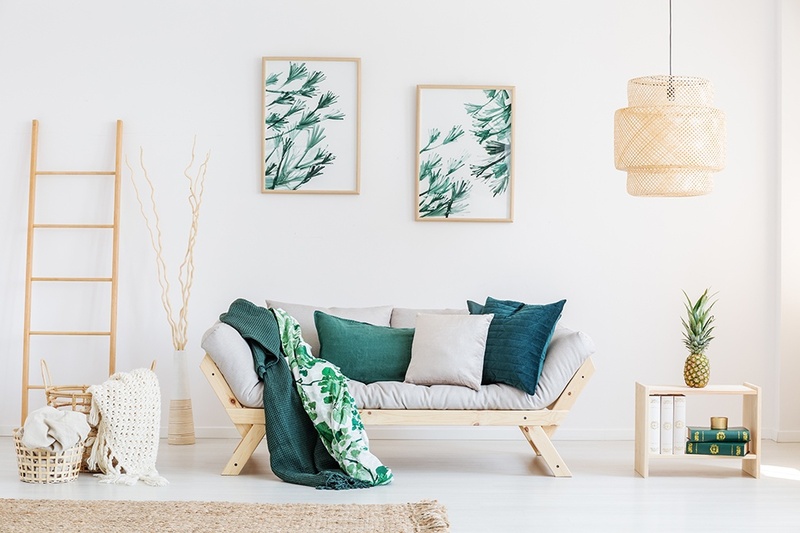 It’s one thing to have a great coat of paint and a clutter-free space, but having a unique piece of furniture or a lighting fixture that you can call your own will add that special touch to your space. While there are plenty of options to go with, you may want to choose a vintage item like a claw-footed night table or an embellished chandelier that will instantly dress up a lackadaisical room. Instead of going with something expensive, choose something that you can dress up or re-paint for a modern effect. It’s often the case that renovating your home or your bedroom can seem like an expensive project, but there are ways it can be done that are both economical and will add instant spark. If you’re currently renovating your home and are planning to put it on the market in the future, contact your local mortgage professional for more information about financing your next home. Are you starting to get the renovation itch? 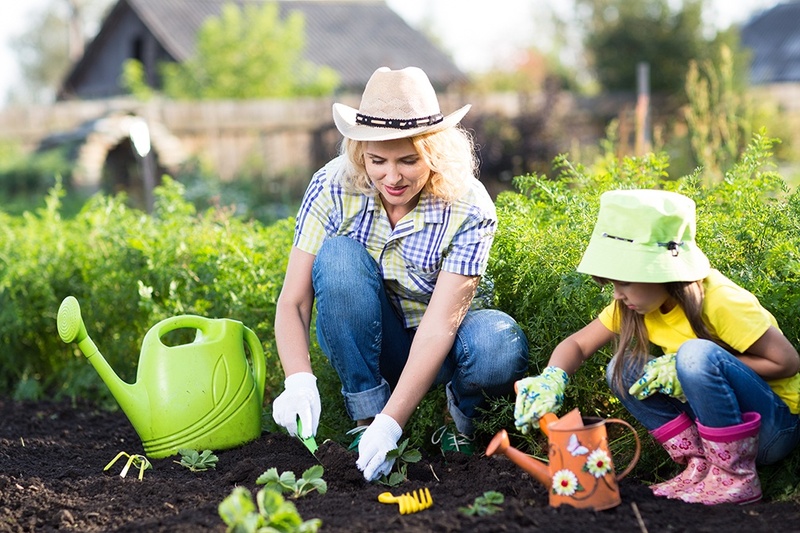 With spring on the way, you might be tempted to launch those home improvement projects that you contemplated over the winter. However, as with any project, you will want to get things right. Let’s take a look at four renovation shortcuts that can lead to disaster and the steps you can take to avoid them. Before you undertake any renovation involving your home’s structure, you must be confident that you know exactly what is where. For example, do you know what is inside of your walls? You might be surprised to learn what is hiding behind those pieces of painted drywall. Electrical wiring, plumbing, structural supports, insulation and possibly even soundproofing material can all be damaged by misplaced nails or cuts. You might also discover damage caused by pests, mold or water which needs to be repaired. You have likely heard this tired cliché: “measure twice, cut once.” However, what you may not realize is that was intended for professionals. If you are new to renovating, you will want to measure at least twice, if not three times or more. A small measuring mistake of one-half-inch can mean the difference between your new cabinets fitting and not fitting. Or your tiles lining up with one another or not. Another shortcut that homeowners try to take when starting do-it-yourself home projects is using cheaper materials or whatever tools they have handy. Keep in mind that you are investing in your home and that you are saving money by not paying for the labor. Use those savings on top-quality materials that will withstand the test of time. Finally, one shortcut that must be avoided at all costs is not calling a professional if you have made a significant mistake. If you end up drilling into the wrong wire, or you damage something else beyond your repair skills, don’t try to patch it up. Swallow your pride and make the call. You will be able to sleep soundly knowing that whatever was damaged isn’t at risk of failing later. Renovating your home is the best way to increase its value, but even the smallest mistake can blow up into a major problem in the future. To learn more about your home’s value, contact us today. Spring is almost here – and with it, the need to clean out the clutter and freshen up your home. 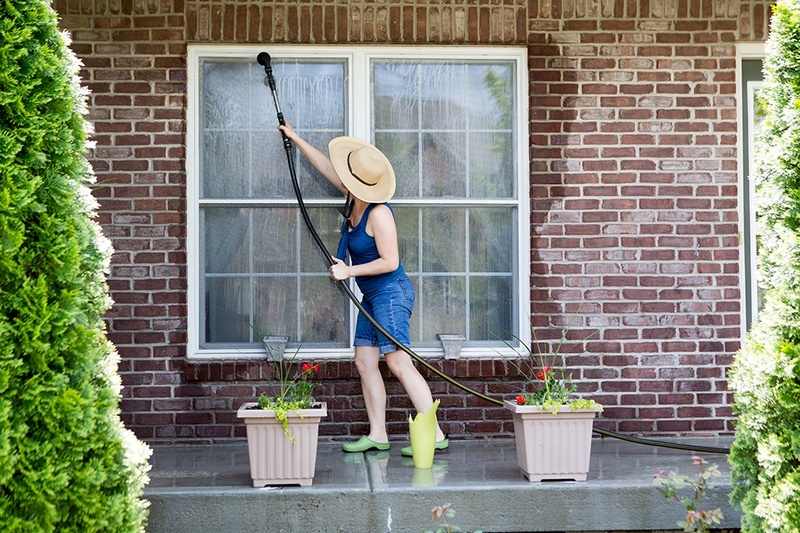 Let’s explore a few tips that will help you to get a jump on your spring cleaning so that you can get outside and enjoy the nice weather later. Need It? No? It’s Got To Go! Do you consider yourself a bit of a ‘hoarder’? Is there furniture, appliances and other items in your home that have been collecting dust since the ’90s? If so, it is time to minimalize your lifestyle. A great rule of thumb is the one in bold above – if you don’t need it, it’s time to get rid of it. Consider listing anything you don’t need up for sale on a local resale marketplace as you may find an interested buyer willing to give your old stuff a new home. Once you have the clutter kicked out, the actual cleaning can begin. If your garage is so full of miscellaneous junk that you can barely get your car door open, it’s time for a thorough cleaning. Again, the first mission is to get all of the stuff you don’t need either thrown out or otherwise disposed of. Letting go of your old possessions can be tough, but you will be amazed at how much space you have once it’s all gone. And that space can be put to better use – once it’s cleaned. Finally, don’t be afraid to enlist professional help if you are feeling overwhelmed. Having a couple of cleaners come into your home for a few hours is a cost-effective way to speed up the spring cleaning process. Note that it’s best to have cleaners join you after the clutter has been removed, so they aren’t wasting their time trying to move old furniture and other items you are going to dispose of anyway. Unless you absolutely love washing walls and cleaning out closets, spring cleaning is rarely fun. However, it is necessary to ensure that your home stays in tip-top condition. If you have decided that you are in need of more space, or are looking to downsize your home, contact us today. Our friendly team of mortgage professionals are happy to show you some financing options that will perfectly suit your needs.